A forklift truck is basically a transportation device with a mast and forks at the front and a counterweight at the back. Lift truck manufacturers offer an ample choice of options, but the handling device essentially stays the same. Gian Schiava explores the variety of forklift attachments that may be added for more specific needs. A forklift attachment can be fitted on a new machine or as a retrofit to suit a new materials handling need. Let’s try to give a definition: a device, other than conventional forks or load backrest extensions, which is mounted permanently or removably on the mast of the lift truck to help handle a load. We can deduce two things from this. Firstly, an attachment may be removable, so it can be taken off at any time. In practice this means you can increase the versatility of your forklift truck as it can be equipped to perform different handling tasks. Secondly, besides versatility you will add productivity. As your forklift will be better able to handle a specific load, you can bet that the job will be done quicker. From this starting point, other advantages emerge like enhanced safety or decreased damage costs. Obviously handling a load well means less risk of damage to the load. If the advantages of fitting an attachment seem overwhelming, then so too are the choices available. There are literally hundreds of different configurations and designs on the market. We will examine just a few. Without doubt, the sideshift is one of the most common attachments used today. In fact, many forklift manufacturers offer it as standard. A sideshift allows you to shift the forks from left to right (or the other way). It allows you to pick up the load quicker, as perfect alignment of the truck is no longer necessary. This one certainly falls within the category of increased productivity. As your forklift will be better able to handle a specific load, you can bet that the job will be done quicker. 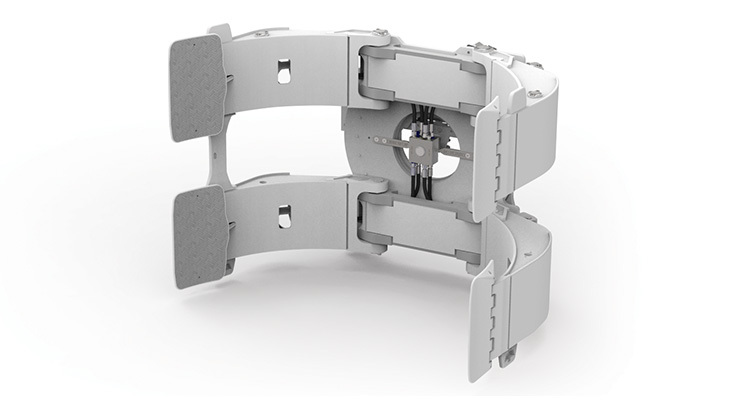 Paper roll clamps come with different types of padding, depending on the load. Sideshifts come in hook-on and integrated versions. 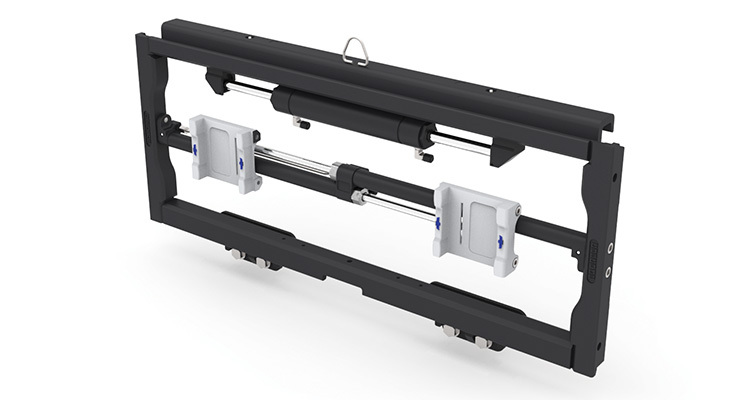 The first is removable, offering flexibility, but the integrated one reduces the capacity loss which you normally get when an attachment is added. More about that later. A similar advantage is delivered by the fork positioner or fork spreader. This enables the driver to hydraulically increase or reduce the gap between the forks. It enhances speed, like the sideshift, but has the added benefit of being able to adapt to picking up different-sized pallets and odd-sized objects. Of course, with a sideshift the forks can always be moved manually, but it takes the driver time to get in and out of the lift truck. The many other options are mostly about gripping containers, rolls, bags and other types of loads that need to be transported safely in the warehouse. Here are some examples. These devices handle different-sized paper rolls for industries such as printing, paper manufacturing and other paper-related products. Importantly, they can be fitted with automatic pressure controls to avoid damaging the paper roll. There are various types of gripping pads depending on the type of paper being handled. 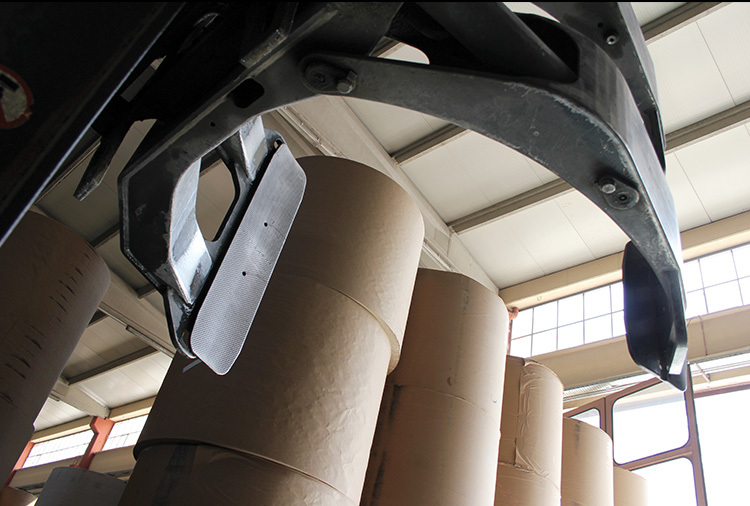 Many paper roll clamps have automatic pressure controls to avoid damage. These are used for loads that are placed on slip sheets instead of wooden or synthetic pallets. The advantage obviously comes from cost savings relating to use of inexpensive slip sheets. In short, there are decreased maintenance costs, while less storage area is needed and stock damage due to old pallets is avoided. Slip sheets are often used with bags (e.g. 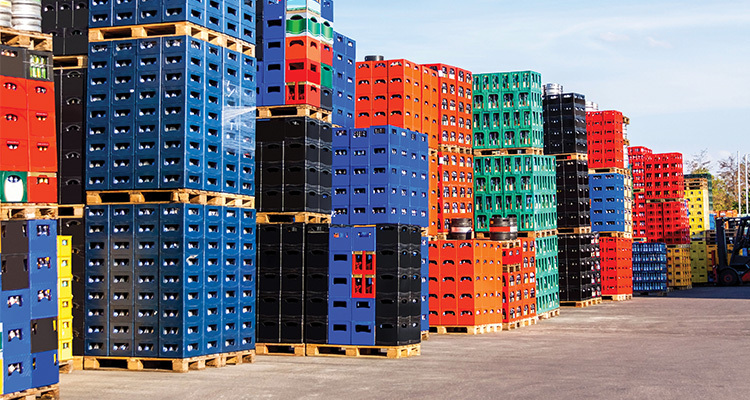 cement, seed or grain), packaged foods, dairy products, fruit and corrugated boxes. 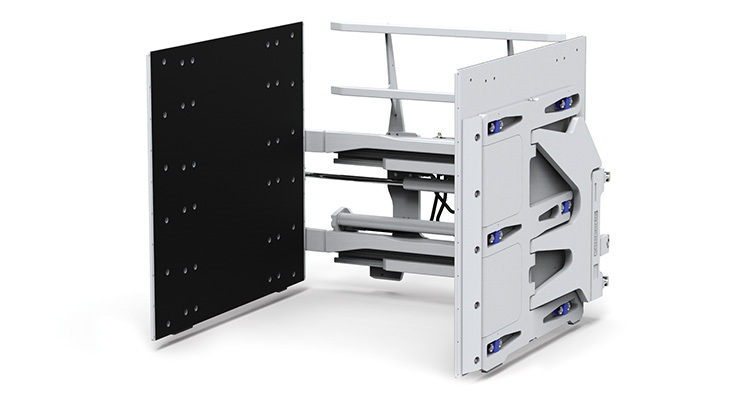 Fork positioners allow operators to move forks quickly and easily. Forks are fitted in the white holders on the carriage. To handle larger or square-shaped objects, forklift trucks can be fitted with a clamp or a rotator. These types of attachment can be seen in industries like bricks and blocks, beverages, paper, fabrics, appliances and other electronics. They can also be used to handle fragile goods. Enriching your forklift with a special attachment does have consequences. Possibly the biggest one is that the centre of gravity will be affected in a negative way, resulting in a reduced load capacity. It could also have some impact on stability, as you are putting extra weight on the front of the forklift. In practice this means you could end up needing a lift truck with a higher load capacity than you would need without the attachment. A stronger truck often means a heavier counterweight as well, thus eliminating the risk from the (slightly) reduced stability. Many suppliers offer rate calculation graphs and formulas so you can figure out what the impact of an attachment would be to your truck. However, it makes more sense to discuss your needs in detail with the forklift truck supplier, in order to determine the right configuration. 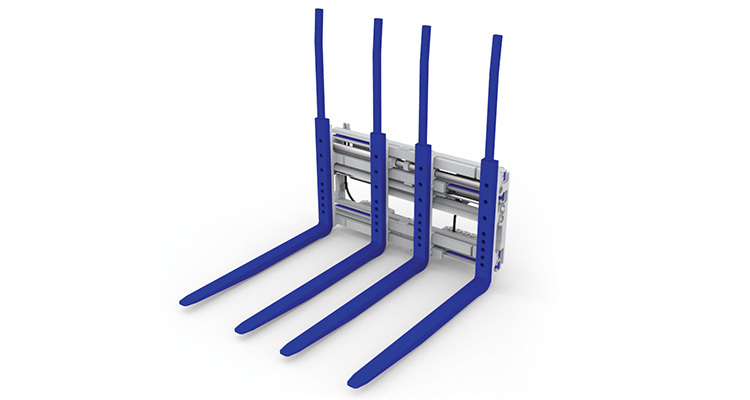 Typical application for a multi-pallet handler. Using attachments also means forklift truck drivers need additional training to become competent in fitting, operating and removing the devices. In the case of an electric forklift we see an additional concern, as heavy use of an attachment may shorten the battery’s lifetime considerably and will therefore influence battery choice. Even the hydraulic system may need adjustment, as the battery, hydraulic pressure, tube sizes and attachment capacity all need to be carefully aligned. Professional materials handling equipment dealers work closely with battery suppliers on this issue, to ensure productivity and also to minimise energy costs. Finally, bear in mind that using attachments also means forklift truck drivers need additional training to become competent in fitting, operating and removing the devices. Forklift attachments transform your forklift truck into a multi-skilled machine and, if properly selected, enhance warehouse operations. The productivity gains should outweigh the additional costs of investment, maintenance and truck adjustment, provided all the possibilities are carefully considered. 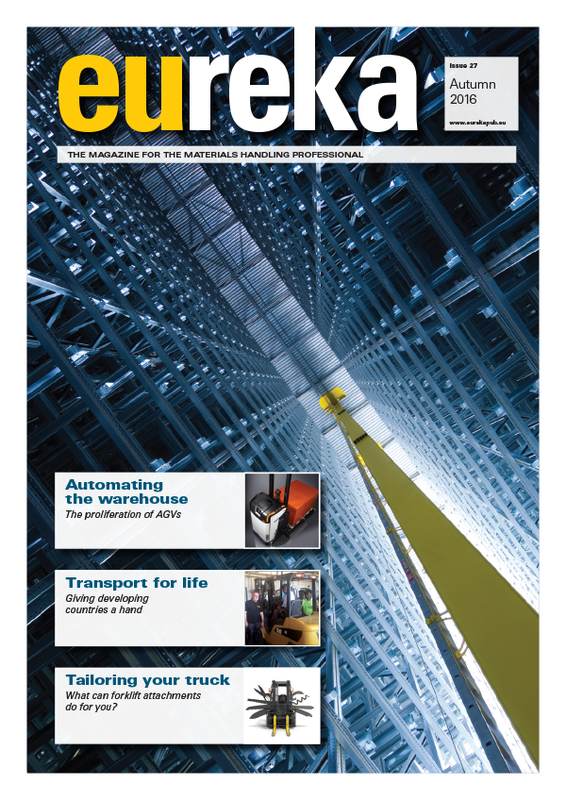 This article appeared in the 2016 Autumn edition of eureka magazine.